Achieving the University of California’s goal of carbon neutrality by 2025, as proclaimed in its Carbon Neutrality Initiative, will require not just ongoing technological and financial solutions, but also active engagement from UC students, faculty, staff and administrative leaders. A new report by a team of diverse experts and students from across the UC system finds general support for addressing climate change and identifies opportunities for empowering and enabling more involvement from campus communities and decision makers in ways that could help make significant progress toward reducing carbon emissions while also accomplishing the university’s mission. 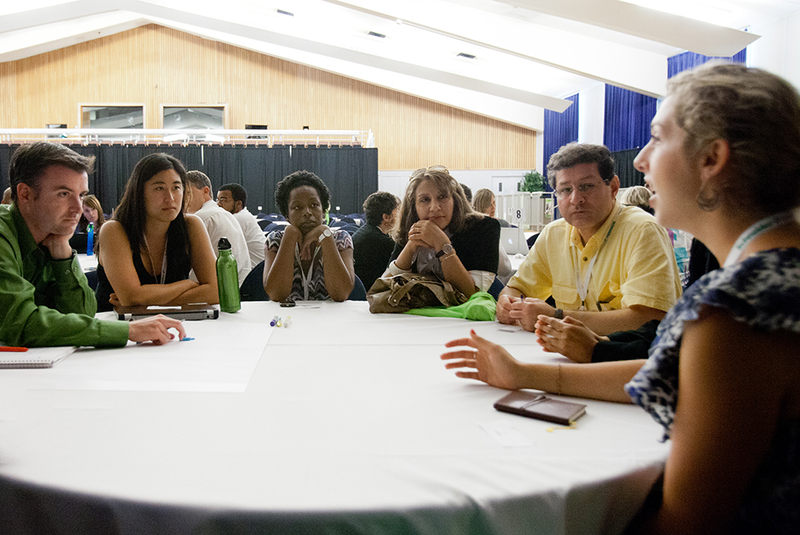 Its headlining recommendations are applicable to other large-scale organizations looking to decarbonize their operations: make key information and resources readily available to local champions who can motivate others in their communities, and highlight the ways in which carbon neutrality aligns with the university’s core mission of research, education and public service – a message that resonates with the UC community. “Achieving carbon neutrality within an organization requires buy-in from many groups of stakeholders. We need the full UC community to be aware of the Carbon Neutrality Initiative – what it is, what it means, and what it’s trying to achieve – and provide ways for people to be a part of it,” said the report’s lead author Roger Bales, a professor of engineering at UC Merced. The report’s authors recommend that campuses and sustainability offices provide information that is relevant to carbon reduction – such as campus energy use data, carbon sources and ways to achieve carbon neutrality – to campus-based champions, who can then use that information to build support and direct appropriate action. The report also recommends that UC organize its carbon neutrality-related research, education and actions as a campus-based, system-wide “collaboratory,” or a living lab that provides opportunities for applied research and direct involvement in campus-specific energy solutions. The collaboratory framework would create a concrete mechanism to channel the existing desire to help into more meaningful actions that would help the Carbon Neutrality Initiative meet its ambitious 2025 goal. Examples of energy solutions that could be undertaken through the collaboratory include research partnerships and projects that advance and help implement critical measures for carbon neutrality at UC, such as on-campus energy efficiency projects, or investments to sequester carbon. The collaboratory can also serve as a basis for the creation of course materials and internships that empower students to develop both campus-based and broader, scalable climate solutions. By facilitating such bottom-up involvement, students, faculty and staff are given a voice in solutions and individual campuses can tap into what matters most to their own community – needs the research team identified as enablers of engagement. According to project leader David Auston, also a former senior fellow at NCEAS and researcher at UC Santa Barbara’s Institute for Energy Efficiency, this report is intended to seed dialogue across the university system about how to better engage the campus communities in efforts to achieve carbon neutrality. “There needs to be much more discussion at all levels in the university, so this challenge can be more fully comprehended and the strategies for dealing with it can be evaluated and subsequently folded into a set of priorities for the university,” said Auston. Independent from the UC’s Carbon Neutrality Initiative, the report is part of the larger TomKat UC Carbon Neutrality Project to identify practical, bottom-up strategies for addressing major challenges to meeting the 2025 deadline. A second project team released its report on strategies for phasing out natural gas in February 2018. Both reports were volunteer efforts initiated and led by faculty, staff and students who are committed to tackling climate change. “They were a grassroots initiative of people who feel this is really the most important challenge our society is facing today and, as a public university, we have a responsibility to do what we can to address it,” said Auston. The work of both teams was funded by the TomKat Foundation and the UC Office of the President and co-facilitated by the National Center for Ecological Analysis and Synthesis and the Institute for Energy Efficiency, both research units of UC Santa Barbara.